Investing.com – The dollar eased back from nine-week highs against a currency basket on Thursday, and the euro edged higher in cautious trade as a selloff in global equity markets gathered momentum, hitting risk appetite. The U.S. dollar index, which measures the greenback’s strength against a basket of six major currencies, was holding steady at 96.16 by 04:32 AM ET (08:32 AM GMT), not far from the nine-week peak of 96.31 reached on Wednesday. 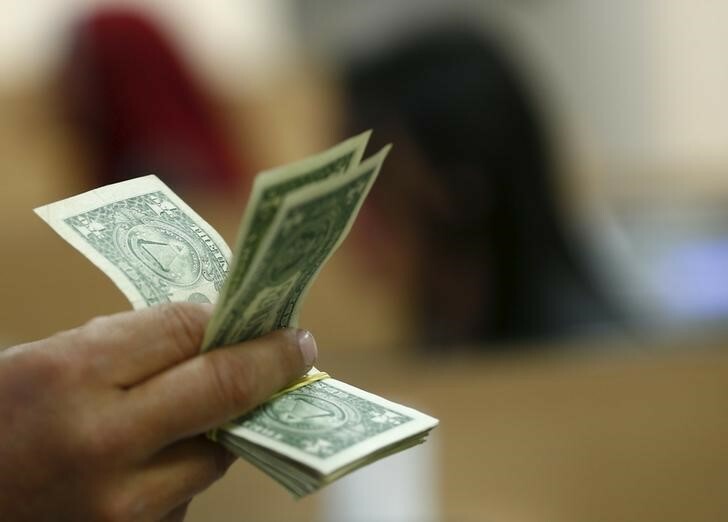 The dollar had strengthened on Wednesday as investors sought out safe haven assets amid a selloff in equities, but despite the falls in stock markets moves in foreign exchange markets remained modest. Equity markets continued to tank on Thursday amid investor concerns over a long list of economic and geopolitical issues. Fears over the health of the global economy, rising U.S. interest rates, Jamal Khashoggi’s murder and global trade wars, along with some disappointing corporate results contributed to an atmosphere of mounting risk aversion. The dollar was little changed against the safe haven yen, with USD/JPY at 112.29 after falling to lows of 111.82 overnight. The euro inched higher, with EUR/USD edging up 0.1% to 1.1402 after falling 0.63% in the previous session. The single currency remained supported ahead of the European Central Bank’s October meeting later in the trading day where it was expected to keep both interest rates and forward guidance on hold. The pound was a touch higher, with GBP/USD up 0.11% to 1.2894. Sterling remained under pressure as Brexit talks remained stalled with just over five months until Britain is scheduled to leave the EU.